Ascended Healer's Academy from Jessica Valor on Vimeo. say yes to you and remove self-doubt forever? Are you ready to tune into your inner wisdom and live with courage in your heart? This is your time to Heal, Inspire, Love & Lead. This is the time for you to Rise & Receive. Welcome Ascended Healer! It is with great love and joy that I offer this series of Divine Alchemy classes. In this beautiful and transformative time, many of us are being called to heal, to lead, and to offer our wisdom to the world in ways which we have never done before. In this perfect window of time you can truly step into change, release your fears, amp up your love and commit to becoming the healer you are being called to be. Sadly, most people do not tap into their gifts of intuition because they choose fear and do not believe in their own power and allow fear to drive their gifts away and block their dreams coming true. The Universe is calling you to show up now more than ever and I promise to show you how to become your BEST self, stay connected with your intuition & Higher Self and receive the highest level of ascended energy healing. 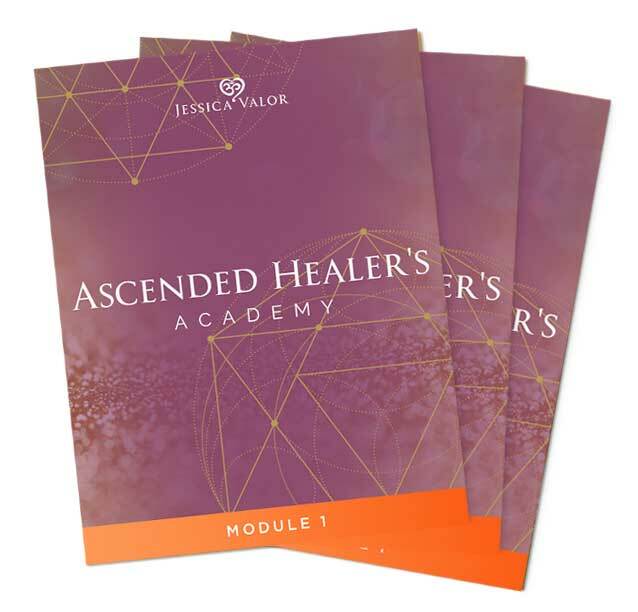 This is all possible and what can happen for you in the Ascended Healer’s Academy led by Jessica Valor – Oracle and Healer. This is an all-inclusive, fun and step by step program to help you learn the power you possess and create a relationship with your intuition & Spirit like never before. 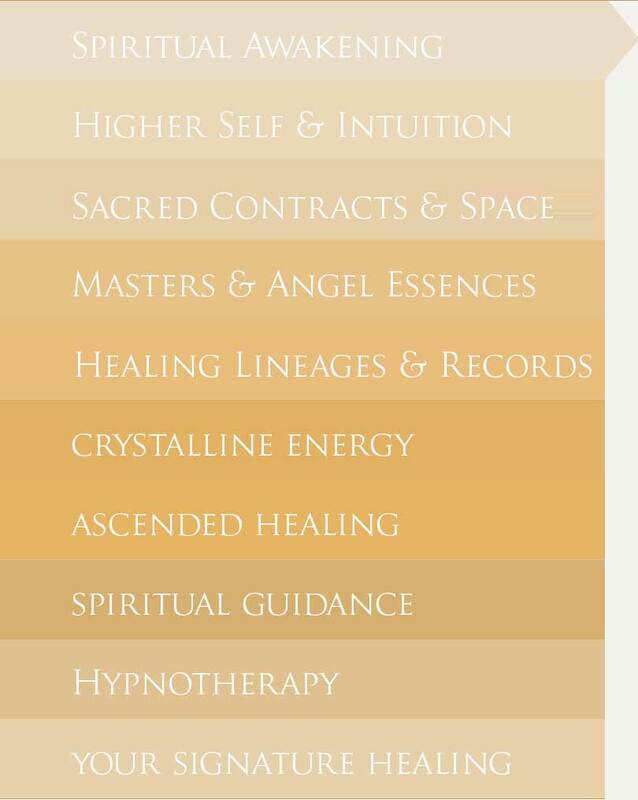 With ascended healing, you will become confident, fully aligned and embrace a spiritual & healing practice that is POWERFUL. Spirit is reminding you of your abilities and gifts and that now is the time to bring forward your Divine essence and share your healing energy in a way that brings magical results to everything you create and those you are called to inspire. I promise to show you how to become your BEST self, stay connected with your intuition & Higher Self and receive the highest level of ascended energy healing. Receive my direct relationship with Source, Masters & Angels. Connect with your I AM Presence at the Highest Level. Detach from fragmented and fear based ego based thinking and dismiss old identities. Own your power and understand your purpose and why you are here. Activate your crystalline DNA and embody your illuminated Truth. Ascended energy healing is an easy, effective and fast way to heal your mind, body & spirit and clear through all space, time, and dimensions. AEH is an unwinding process where you will absolutely clear the root causes and fully release stuck emotions and return all of it back to love. We clear with ease through all that was, all that is and all that ever will be including past lives, akashic records, lineages and more. 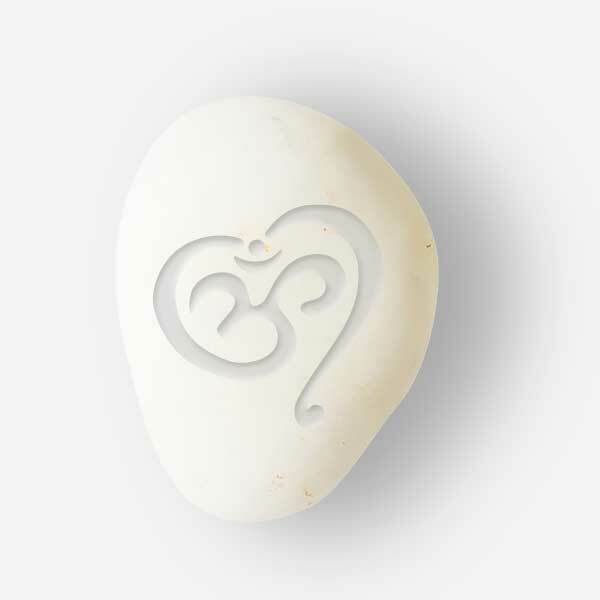 AEH is the accelerated energy system for healing and the new language to receive transmissions so you will feel stronger and even more connected to your Higher Self & Intuition. Learn about & attune to the new energy flowing in so you may embody crystalline energy on a cellular level. Are you ready to connect with your intuition and live a life free of resistance and fear? Are you ready to feel inspired and align with understanding your gifts? Are you someone who loves to fly solo, learn on your own and go at your own pace? Are you not ready to commit to 12 weeks of Live coaching but want to start healing your life and sharing your gifts NOW? If so The Luminary is the perfect space for you! Are you ready to up level your personal healing and share your gifts in a big way? 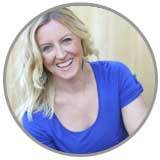 Are you done self sabotaging or know there is an even better way to get lasting results for you and your clients? 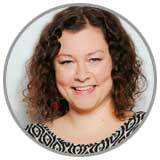 Are you feeling the shifts and want LIVE guidance, healing and advanced techniques delivered in a simple way with me as your Oracle? 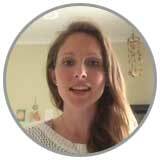 Are you overwhelmed with all of the different energy courses out there and want ONE resource with it all? 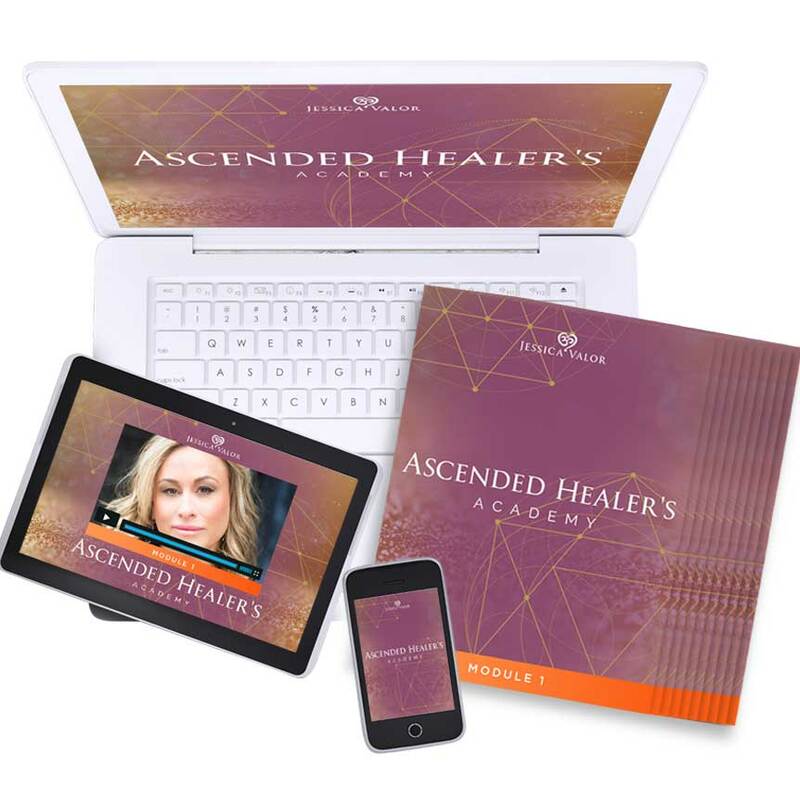 If so The Ascended Healer is your perfect space to advance and attune your energy & ascend! 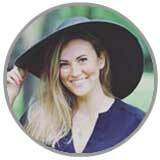 Private Transformational Healing Retreat with Jessica Valor where you will receive hands on healing and exclusive training. *Potential to be an Ascended Healer mentor for future programs I offer. 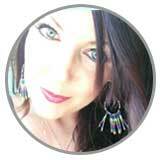 Jessica Valor is well known as an Oracle for Ascended Masters & Advanced Healer by her fans. She LOVES helping people own their power and live in their life purpose! She is dedicated to supporting her clients to realize their dreams with ease and confidence. She overcame a lifetime of trauma and abuse, plus survived a real death experience to be able to inspire you today with a compassionate and expansive heart filled with love for all you are here to accomplish. She spends her free time as a Domestic Goddess, traveling adventures and always has her sweet fur baby Monji in tote. • You are a coach, healer, therapist or other professional who supports transformation, guidance or healing for your clients. This course is for anyone who wants to heal their life and share healing with others. I promise you, you do not need to be an expert to be a rock star A + student in the Healers Academy! What does this program start? What are the live dates? What if I am not able to start now? • This is truly at your own pace with no live group calls. Everyone is different, but for the first time you go through the program, we recommend that you set aside time in your schedule to go through one class per week. This could mean going through a full class at a time or doing 30 minutes a day. Please do what works best for you; it’s more important to begin integrating the knowledge, healing and practices into your daily life than to rush through and complete it quickly. Once you’ve completed the program, we recommend incorporating some of the healing tools and visualizations into your daily practice. For most people their ongoing daily practice is 10 – 30 minutes. Taking daily action so that you can keep momentum is more important than the amount of time you spend on the activities. Some clients can only commit 1-2 hours a week, while others set aside additional time each week for implementation. The Academy support you wherever you are on your journey. You’ll receive access to the live recordings for LIFE, so you can learn and implement whenever you need to, time and time again! We recommend that you start at the beginning of the program and go through it in order once. Some of the activities only need to be completed once, while other parts of the system are tools that can be incorporated into your daily rituals or used when limiting beliefs or emotions or whatever calls to be healed arises for you or your clients. After you’ve gone through the classes, you can then apply the tools and daily practices in a way that feels good to you and fits within your lifestyle. Remember, focus on quality and consistency over quantity! We’ve designed this as a System so that, unlike the courses we’ve taken in the past, you can continue to apply these energy resources daily and revisit the system more intensively as you uplevel in life and business. This is a LIFETIME SYSTEM so that you can manifest with ease and speed and bring to light your deepest gifts and desires. No. And not simply because the content is instantly-accessible, but because we totally over-deliver with everything we create, and we know that this system will work as long as you’re committed to going through it. If you don’t believe this course can work for you, if you’re looking for a magic bullet that will simply get you results by hitting the “buy” button, and/or if you’re not willing to put in a few minutes every day towards healing your energy and achieving your dreams, then this course won’t bring you the results you desire. If any of those apply to you, we recommend you don’t buy this system, as it will only work if you do. “Jessica radiates with loving clairvoyance. 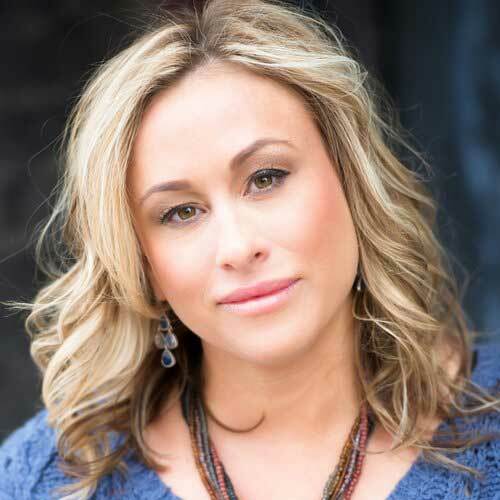 Her approach to healing is ambitious, committed and empowering. She carries herself in such a raw, passionate manner that you immediately become energized in her presence. She is a beautiful, loving conduit for the divine energy. Whatever guidance you are seeking, look no further. We already have 25 beautiful members from pre-launch! All sales are final.